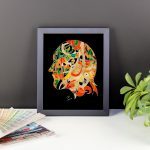 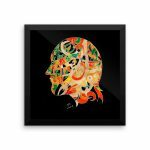 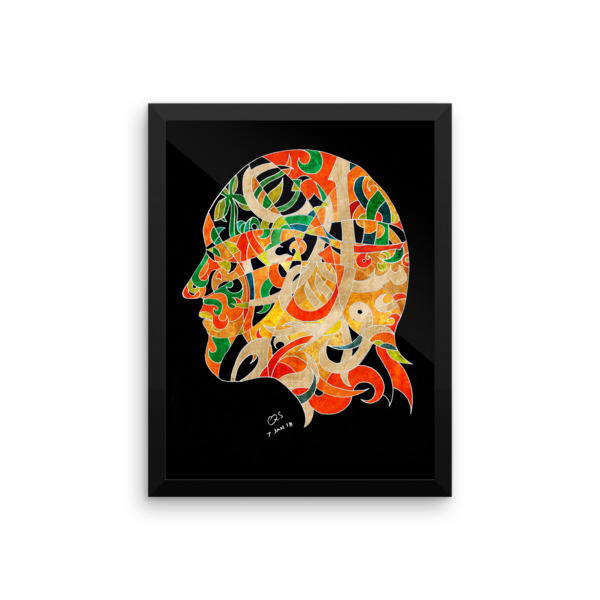 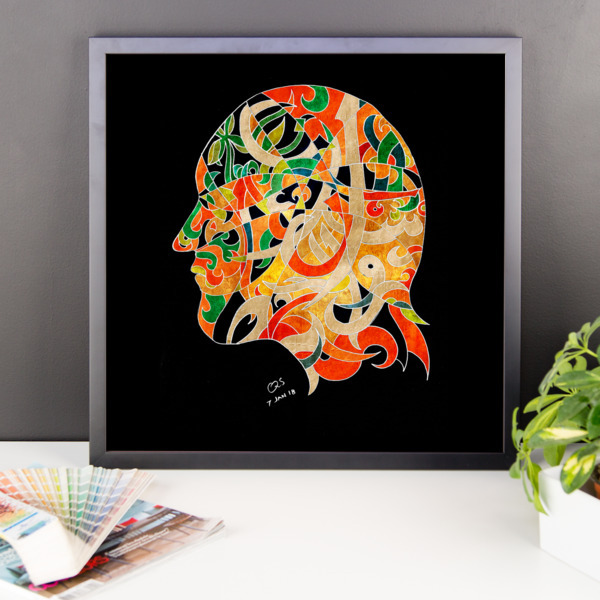 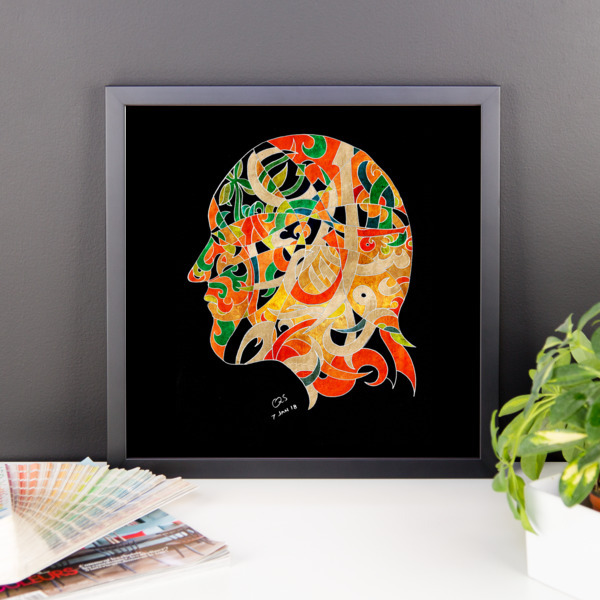 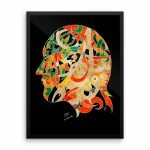 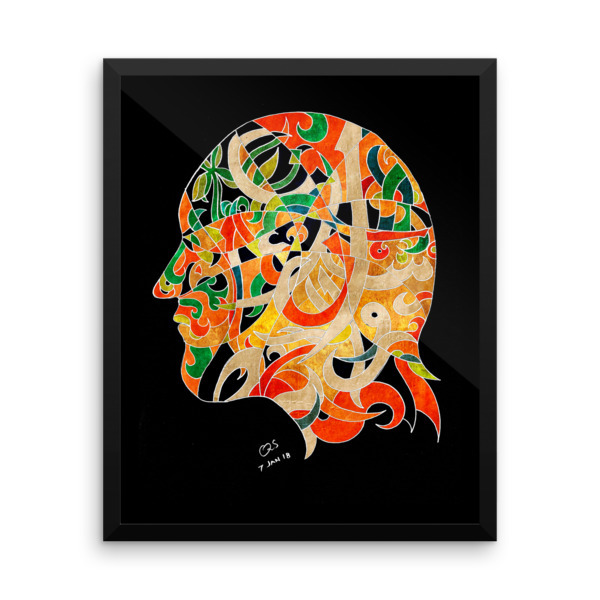 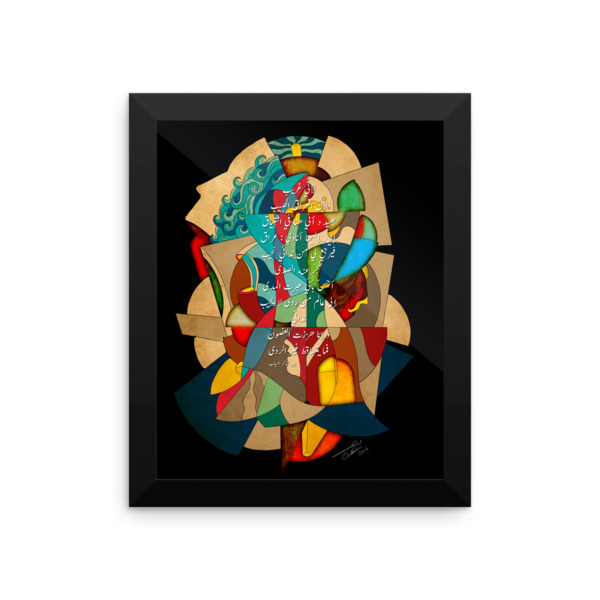 This framed drawing using modern Arabic calligraphy by Qutaiba Al-Mahawili is a modern take on this classical art. It’s made out of the tangled words and letters in one’s head. 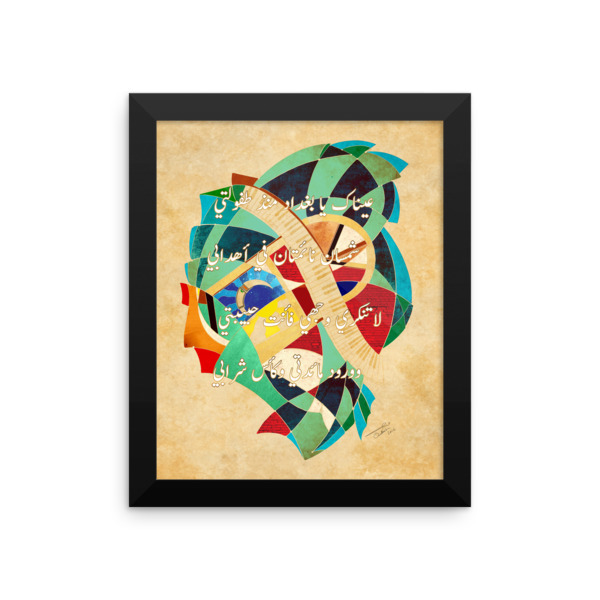 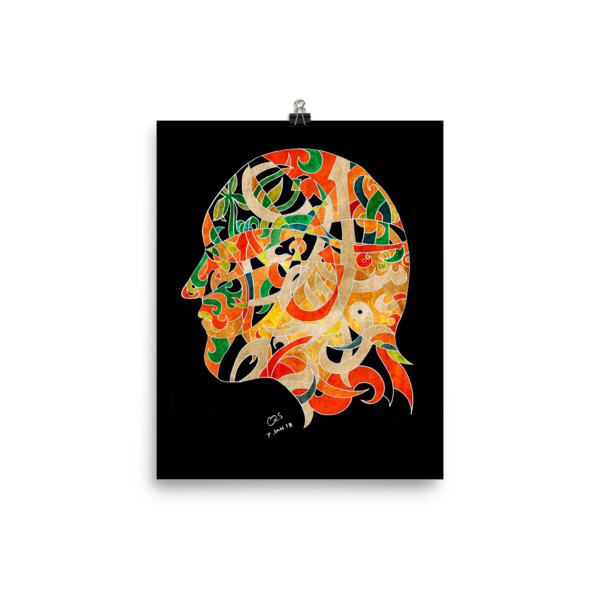 Sure to make a statement in any room with this framed poster, printed on thick, durable, matte paper. 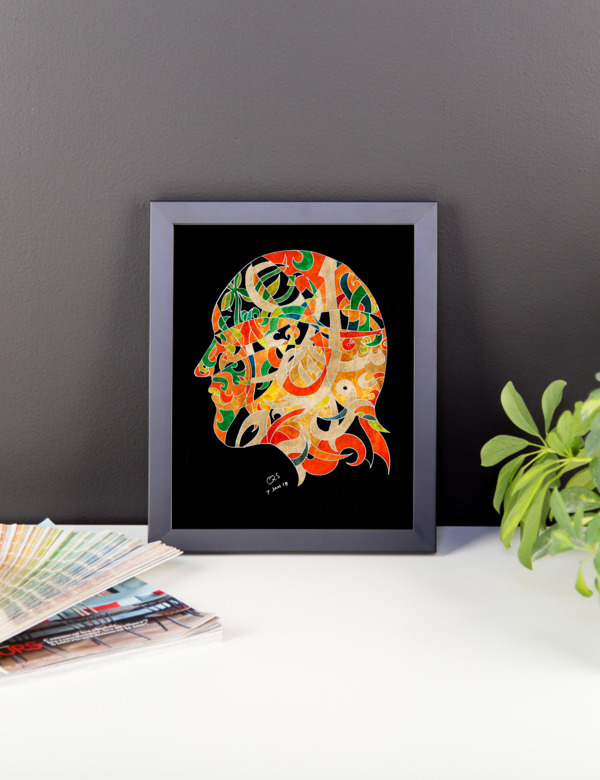 The matte black frame adds an extra touch of class.